Visa and MasterCard payment cards issued by Russian banks are working again in Crimea after transactions have been transferred to the new Russian National Payment Card System. Cash withdrawals by Visa and MasterCard holders will be possible through ATMs belonging to the region’s largest bank the Russian National Commercial Bank (RNCB), TASS reported on Wednesday. 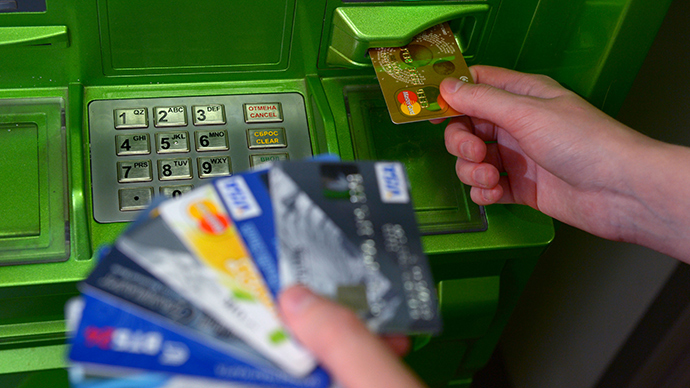 Russian domestic transactions using Visa and MasterCard were transferred to processing through Russia’s newly created National Payment Card System (NPCS) on April 1. The system has been started to ensure the continued operation of Visa and MasterCard after the two companies refused to work with a number of Russian banks due to Western sanctions last year. In May Russian President Vladimir Putin responded by signing a law to establish a NPCS. Visa and MasterCard later signed an agreement to carry out card transactions via the NPCS processing centre and settling through the Bank of Russia. The Central Bank of Russia has already launched a new SWIFT-style payment service aiming to move away from Western financial dominance.